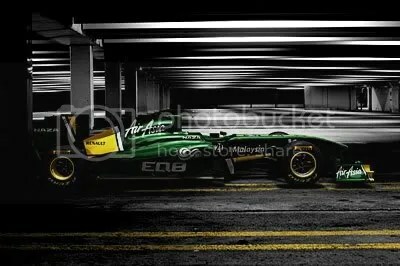 Team Lotus (the one who raced last year) have become the second team to officially pull the covers off their new 2011 car. The green and yellow liveried machine will start be raced by Jarno Trulli and Heikki Kovalainen this season under the name of Team Lotus as the management’s row with Group Lotus, now affiliated with Renault, continues. 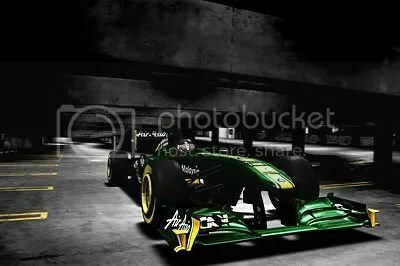 The new car retains the 50’s yellow and green livery that fans came to know and love last season. New sponsors stand side by side with old ones, on the now Renault powered machine. On the technical side, Mike Gascoyne has said that the T128 is far more exciting, intricate and advanced than last seasons T128. There is much more thought and special design in the front wing roll hoop and on the side pods especially. The rool hoop/air box design is very similar to the blade design used by Mercedes in 2010, although this had been outlawed by the FIA – Lotus have found a way around the regulations. “I think the thing that was a challenge this year was that the 2010 car really was a one-off, because of the way it was done with the design team and the time we had. The team’s aim this season then looks to be fighting at the front. 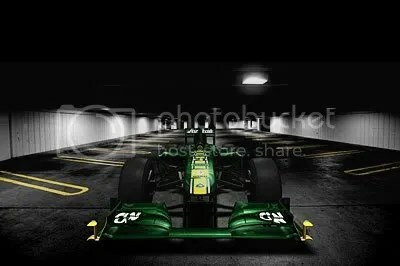 This entry was posted on January 31, 2011 by f1fanatics. 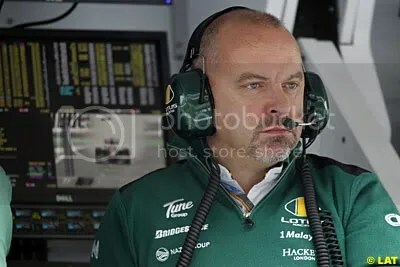 It was filed under Car Launches, Lotus and was tagged with 2011 Lotus Launch, Air Asia, Heikki Kovalainen, Jarno Trulli, Lotus Renault, Lotus T128, Mike Gascoyne, Team Lotus, Tony Fernandes.